If you are overwhelmed with debt and are unable to continue making payments, you are likely searching for solutions to address the problem. If you can’t make your minimum credit card payments, are late with regular monthly bill payments, are receiving collection calls, etc., then you need to evaluate your options to deal with the problem. As you review all of your available options, you will probably consider counseling, debt consolidation, and debt settlement. There are a lot of great sounding TV and radio ads promising to solve all your debt problems. These companies claim to have special relationships with credit card companies or claim they know secrets about how to reduce the amount you owe. None of this is true. In the past, credit counseling and debt management services were non-profit agencies designed to assist consumers in lowering their interest rates or creating a debt repayment plan. This is no longer the case. Most of these companies are scams, designed to take your money and pay little or nothing on debts. Credit card debt negotiation or settlement is usually a poor option for dealing with your debt, and you run the risk of becoming a victim to debt settlement scams. These services are also advertised as an alternative to bankruptcy. These companies claim to negotiate with your creditors and lower your overall debt load through lump-sum settlements for less than the balance due to each creditor. These methods are often unsuccessful due in part to large up-front fees the companies charge that can run as high as 25-35% of the total forgiven debt. In addition, not all creditors will work with these companies, and the ones that do are more interested in maximizing their returns than helping you solve your debt problems and live within your new budget. 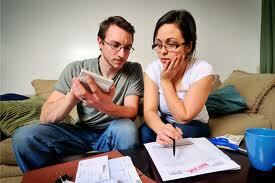 Even the best counseling and debt negotiation services can cause huge problems for you. In most cases the monthly payment is not based upon what you can afford to pay, it is based upon what the creditor wants. After paying hundreds or even thousands of dollars in up-front fees, your creditors may still not get paid or agree to settle with you. All the while, interest and late charges keep compounding. When this happens, your credit will be damaged even more and your balances will have grown even larger. You will owe more money than before, and you will probably be sued at some point. If your accounts actually did get settled, you may have to pay the IRS a tax on the forgiven debt. These are things to think about even if you do not fall victim to one of the many debt scams and swindles. Desperate people agree to these debt management plans without thinking them through because they are desperate for help. But the plans often leave you on such a tight budget that any bump in the road or slight setback will throw you off track. If you feel the need to try and negotiate with your creditors, why pay for something that you can do yourself? There is nothing to stop you from negotiating with your creditors on your own. Consumer Tip: When searching for a credit counseling or debt management service, watch out for the following: Large up-front fees, No accreditation, and/or Unrealistic promises (remember – if it sounds too good to be true, it is too good to be true). Even BBB (Better Business Bureau) approval is not a guarantee the company is reputable. Many of these companies will sign you up and then turn you over to another firm or company, that way the original company always looks good and has no complaints with the BBB or Attorney General’s office.